One of the smallest ethnic groups in the People's Republic of China is the Hezhes. With a population of 4,300, these nomadic people mainly live in the Tongjiang, Fuyuan and Raohe counties by the rivers of Songhua, Heilongjiang and Wusuli in China's northeastern Heilongjiang Province. 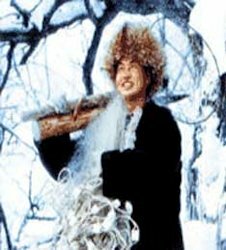 The Hezhe's main sources of living are dog-drawn hunting and fishing. The Hezhe's ancestry can be traced to the Nuzhens, a race of Tartar horsemen who ravaged the northern borders of several Chinese dynasties. The Hezhes of different regions used to call themselves by various names, famous among which are Heijin, Heiqi, Hezhen, and Qileng. The Hezhe ethnic group was one of the groups of the Jurchen tribe during the Ming Dynasty. In the Qing Dynasty, the Hezhes were incorporated into the "eight banner" system of the Manchu rulers. Hezhes were still in their primitive societal stages even at the beginning of the twentieth century. These primitive ways were observed by means of their clothing and way of life. 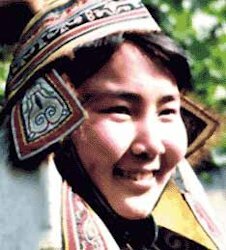 They used to wear clothing made of fish skins and employed dogs for hunting which earned them the titles Yupi Tribe (Fish Skin Tribe) and Shiquan Tribe (Dog-using Tribe). During the Japanese occupation, the Hezhe ethnic group was almost wiped out. The policy of genocide practiced by the Japanese caused a sharp decrease in the Hezhe population, putting them on the edge of extinction. Prior to 1949, there were only about three hundred Hezhes living in China. They were formally named the "Hezhe Ethnic Group" after the founding of the People's Republic of China.